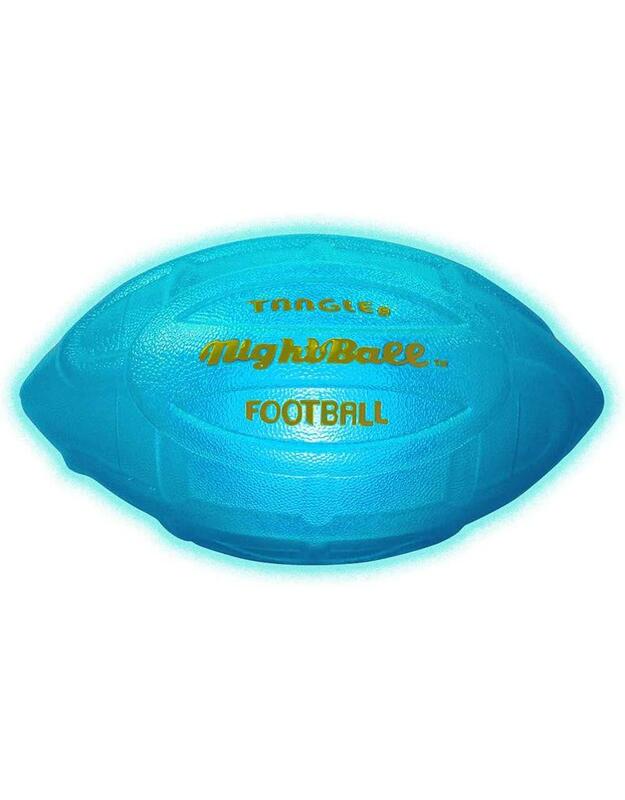 The Tangle Sport Matrix Nightball Football provides hours of active fun, day or night. Not just a high-quality football, the Nightball contains special LED lights that illuminate the ball when thrown. Measuring 8-inches by 4.5-inches by 4.5-inches, the Nightball's larger size makes it easier for smaller hands to catch and throw. The faster the ball spirals through the air, the brighter the LED lights glow. Requires one non-standard battery (included). Suitable for outdoor use only.